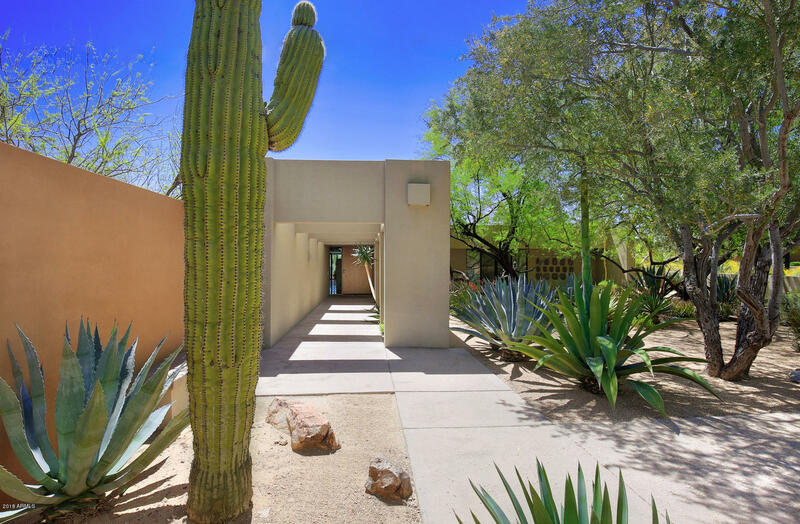 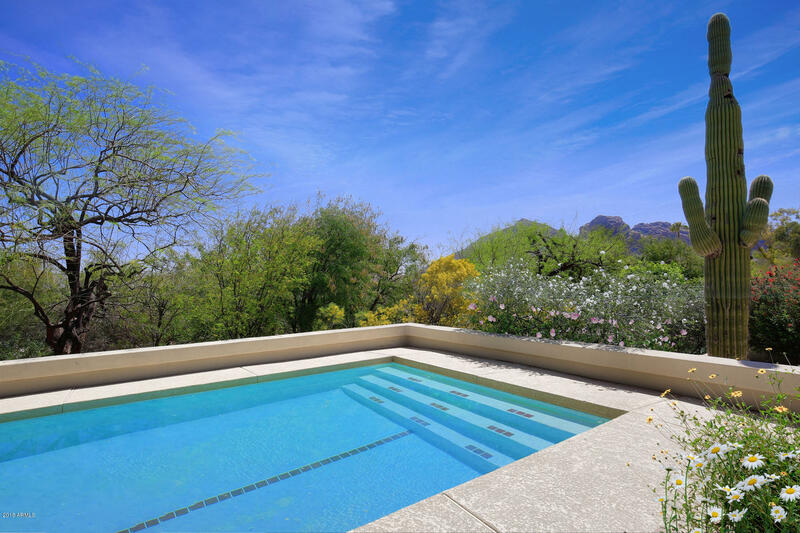 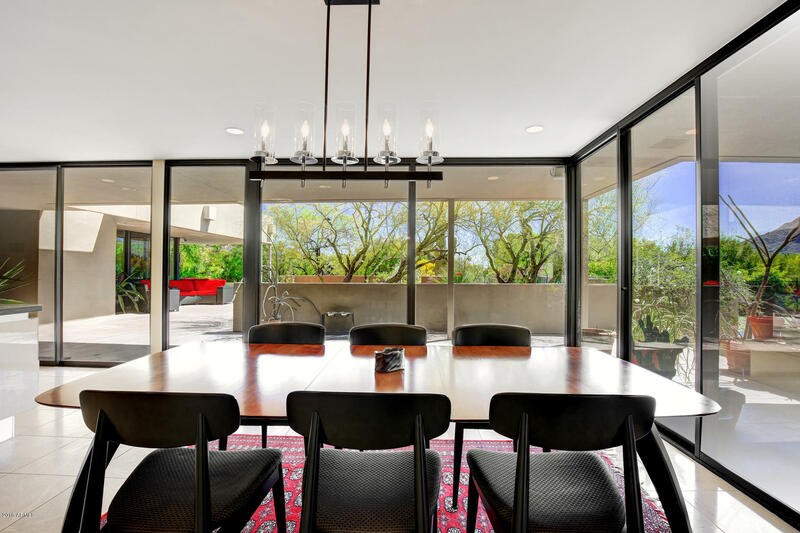 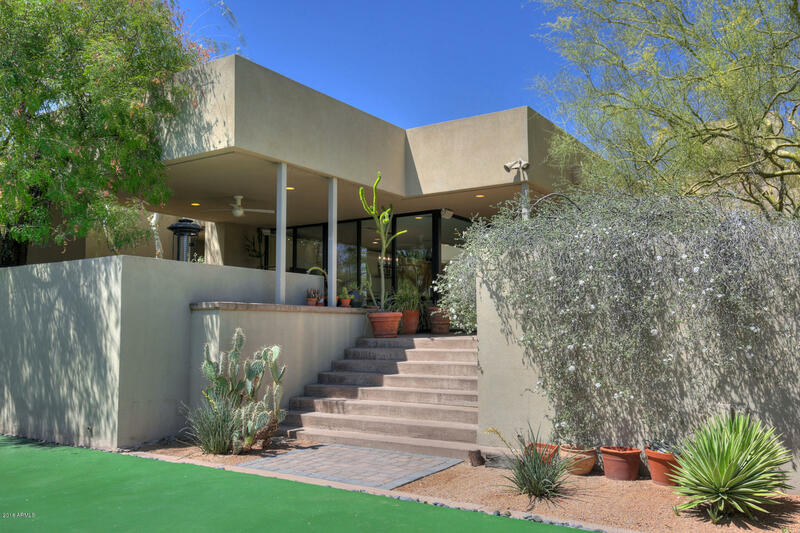 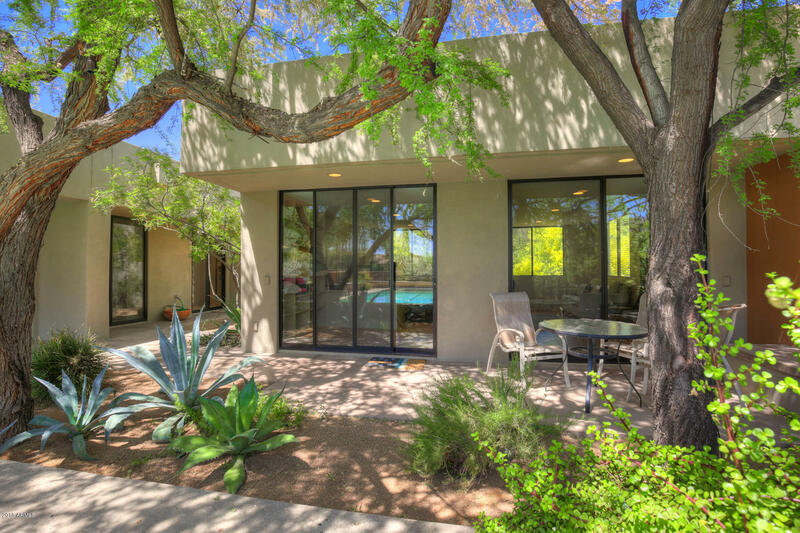 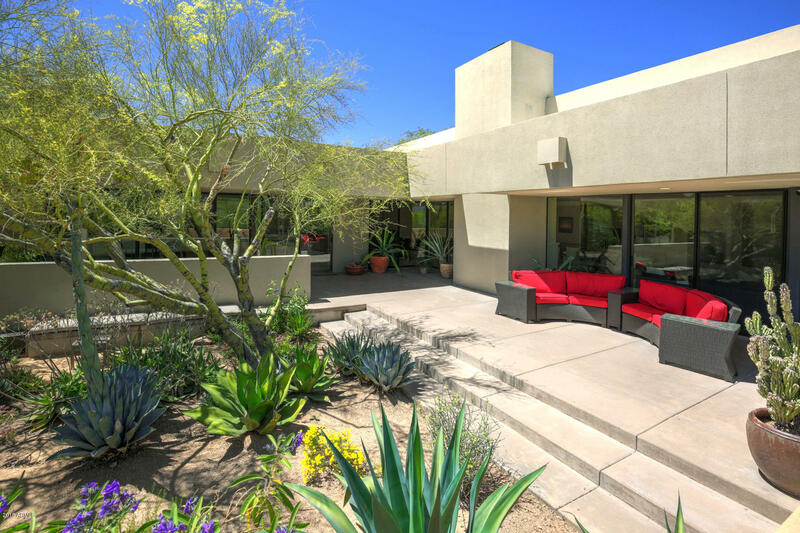 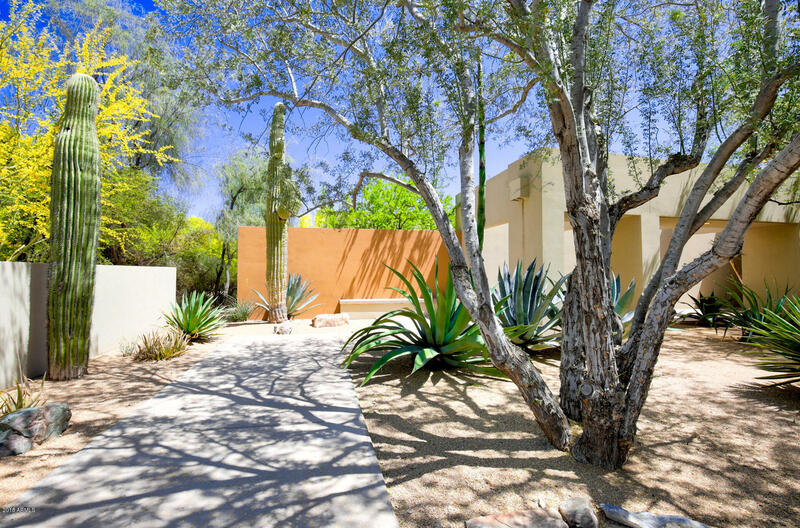 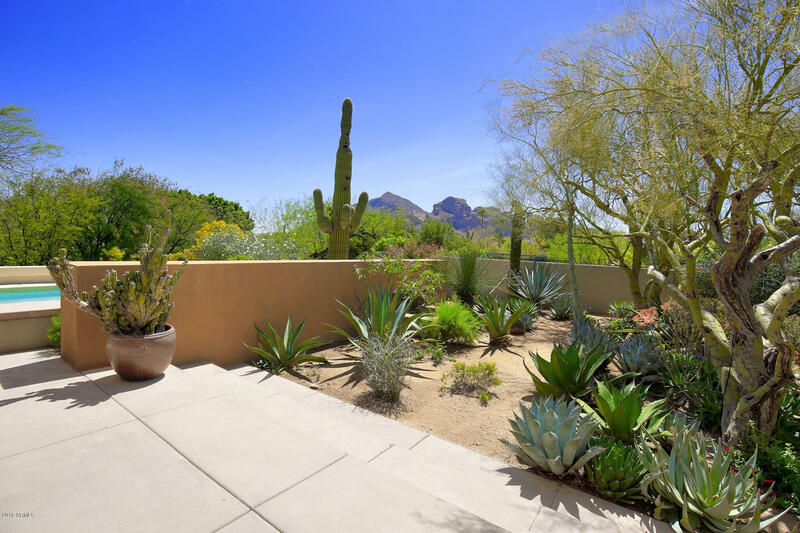 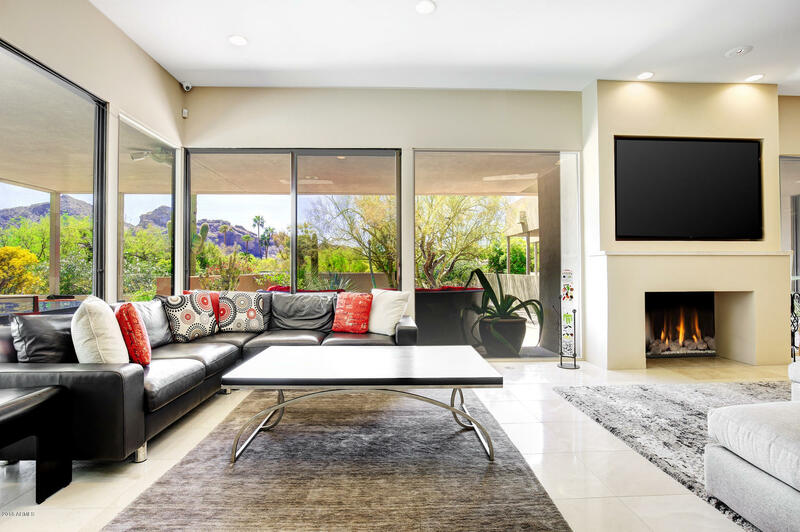 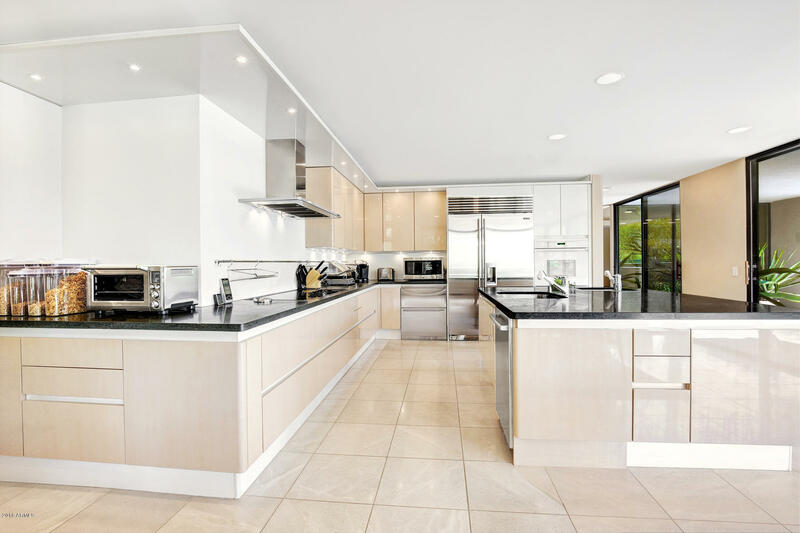 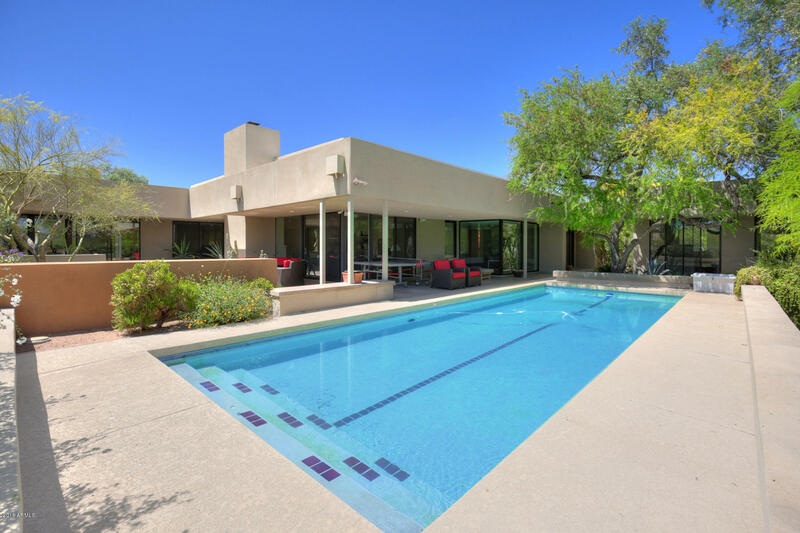 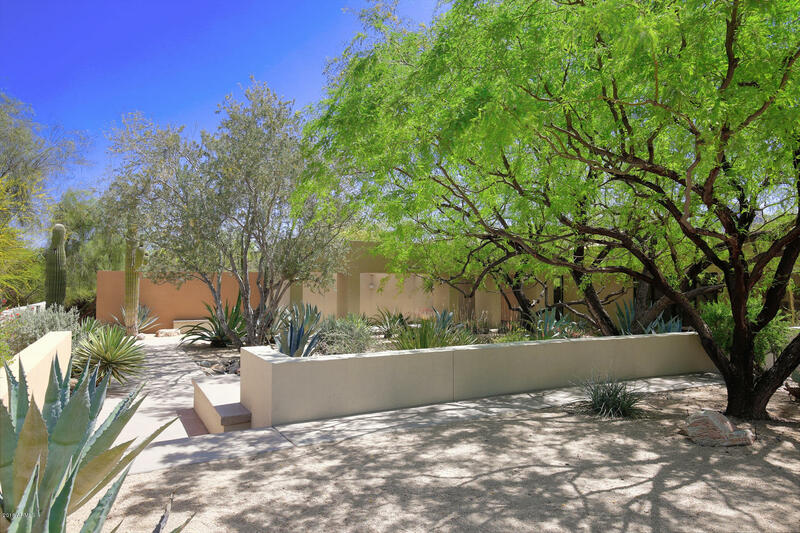 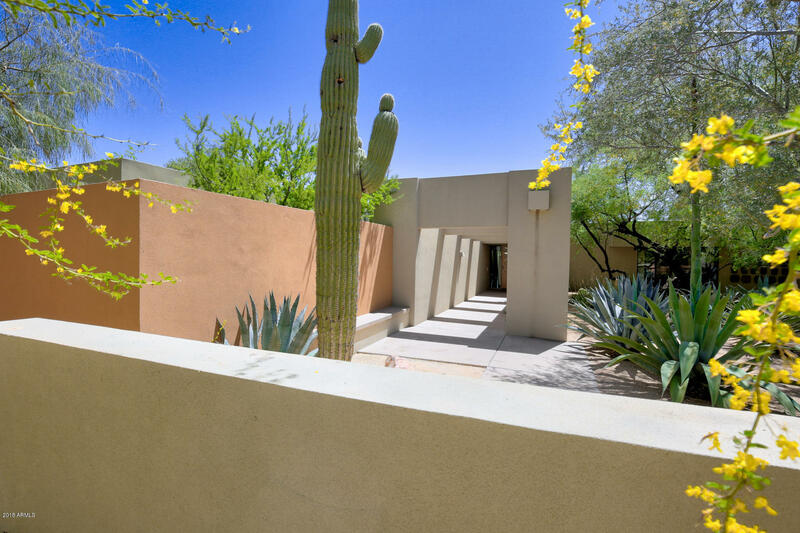 Full Camelback Mountain views from this stunning Calvin Straub designed Classic Contemporary residence located in a quiet cul-de-sac. 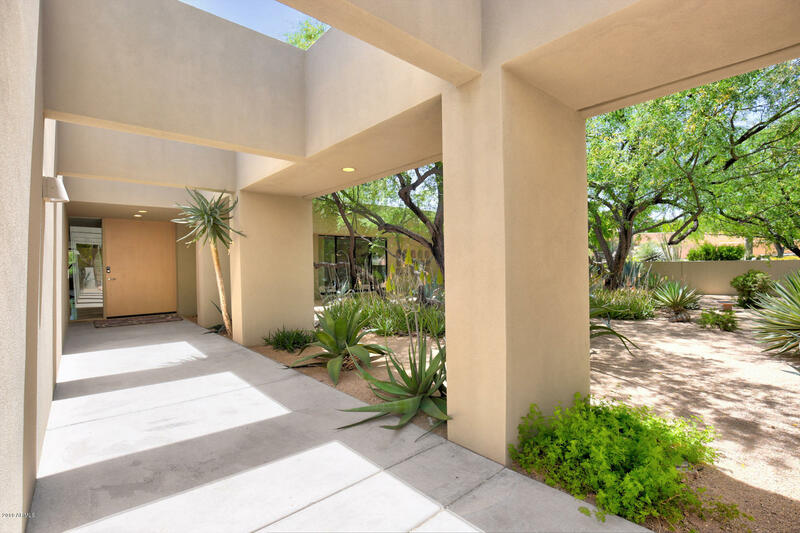 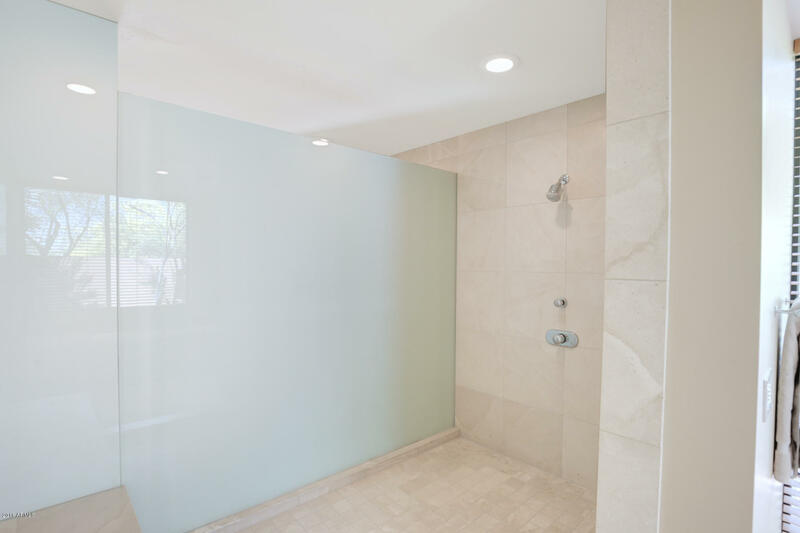 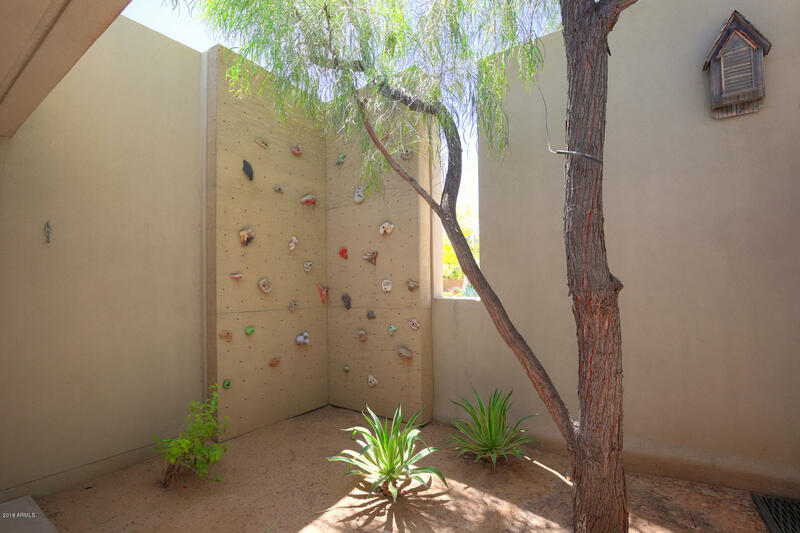 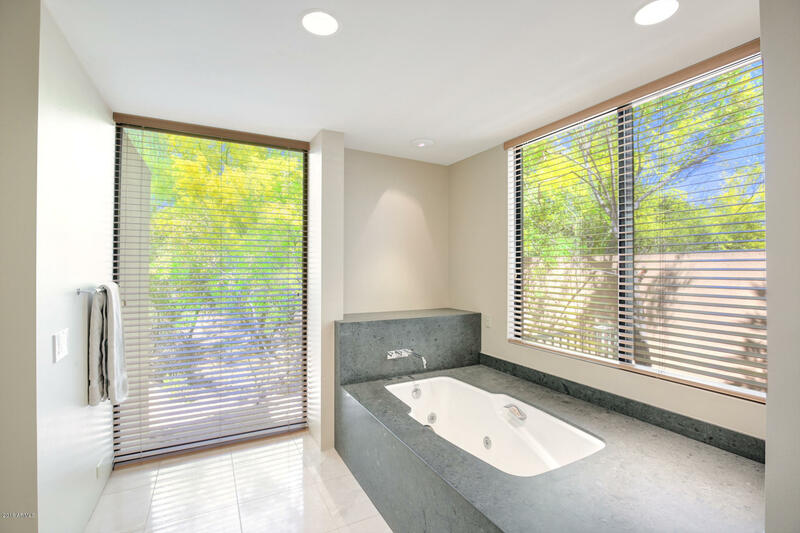 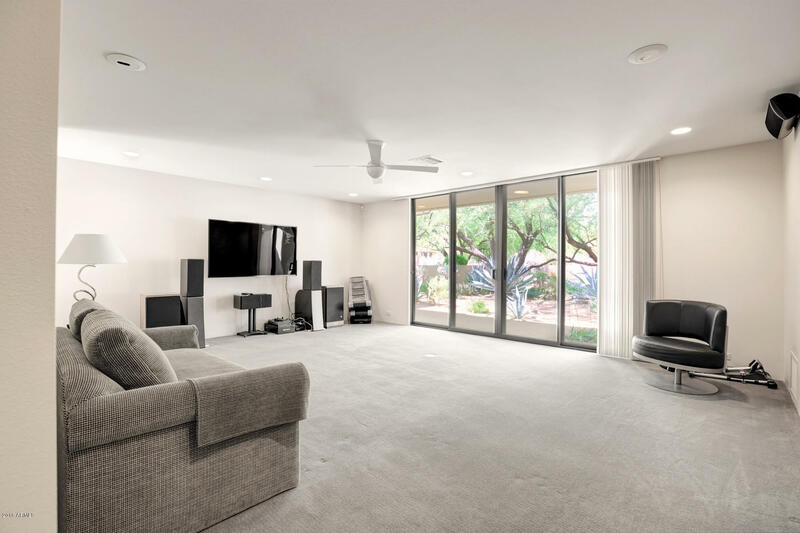 Floor to ceiling glass walls create a truly sensational Arizona treasure. 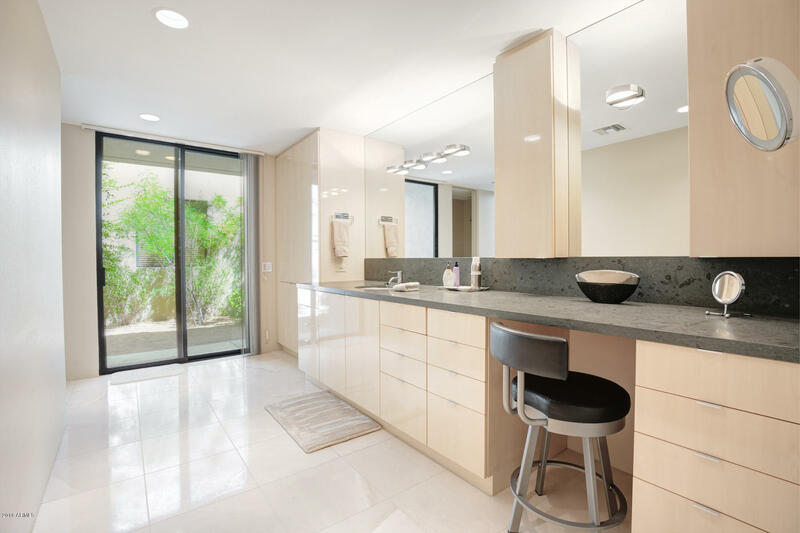 Pale grey limestone floors & perfectly matched counters of deep grey limestone anchor the sleek theme. 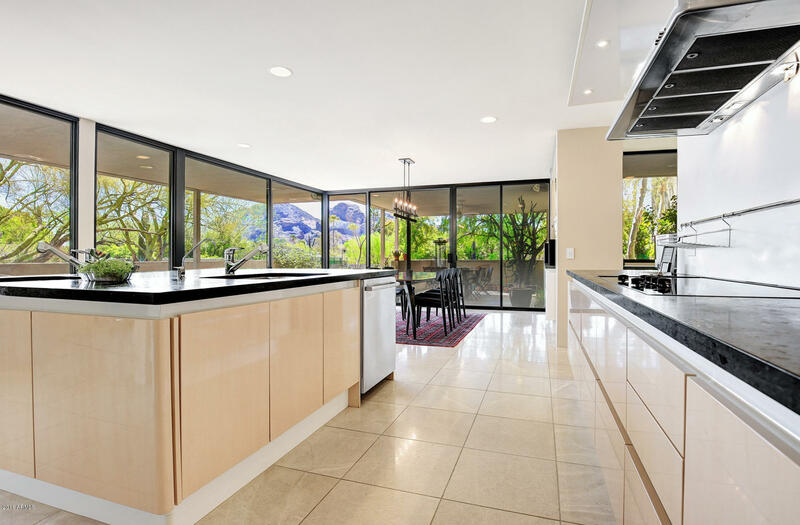 Main entertaining areas are open to each other & effortlessly flow outside. 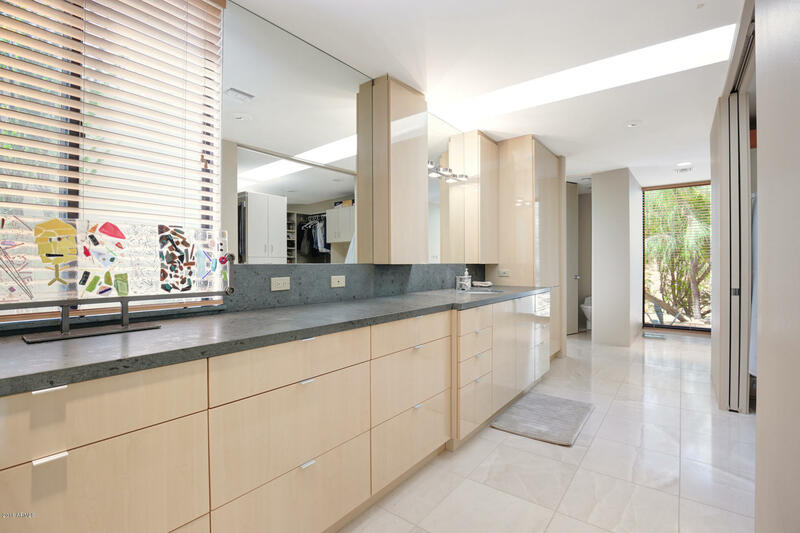 Kitchen is outfitted w/timeless German SieMatic cabinetry. 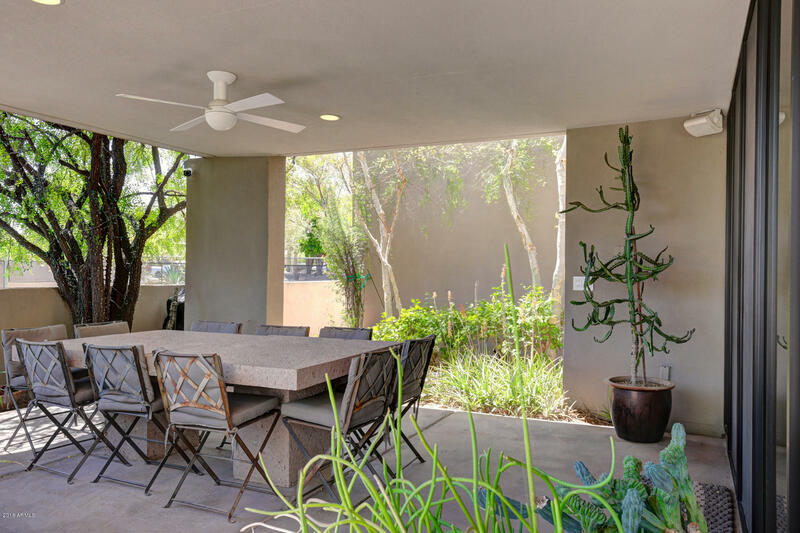 Attached casual dining opens to covered Al Fresco dining. 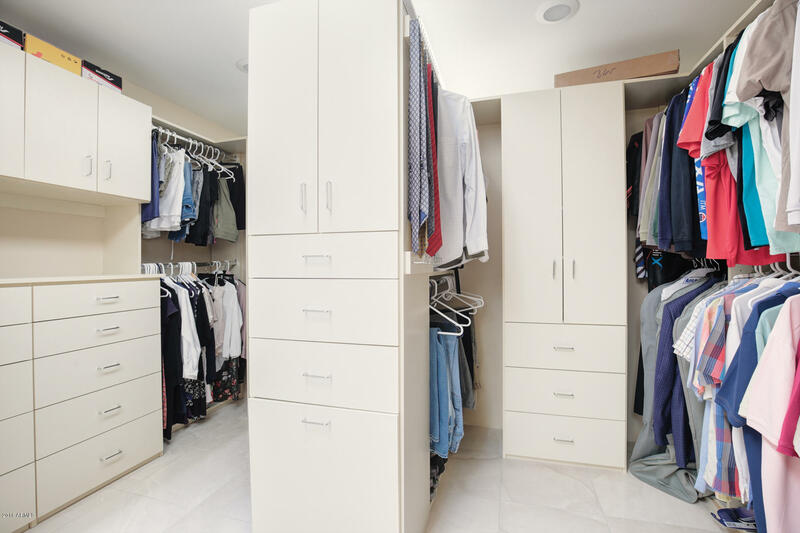 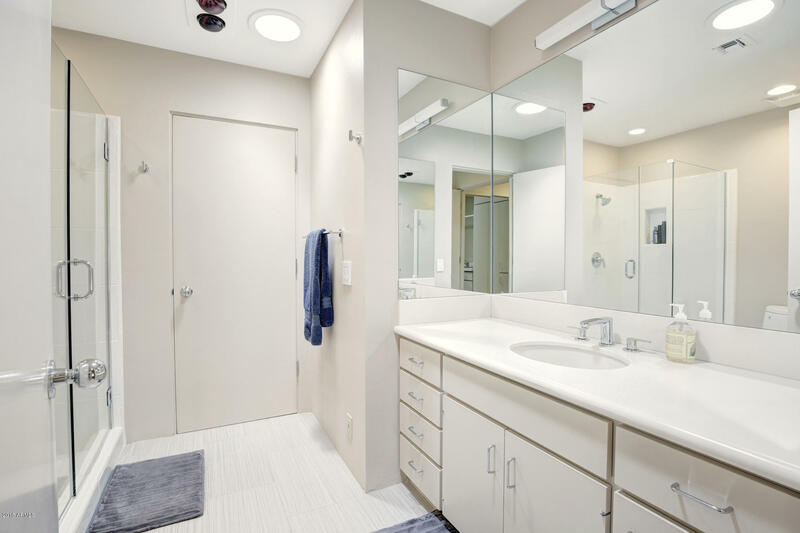 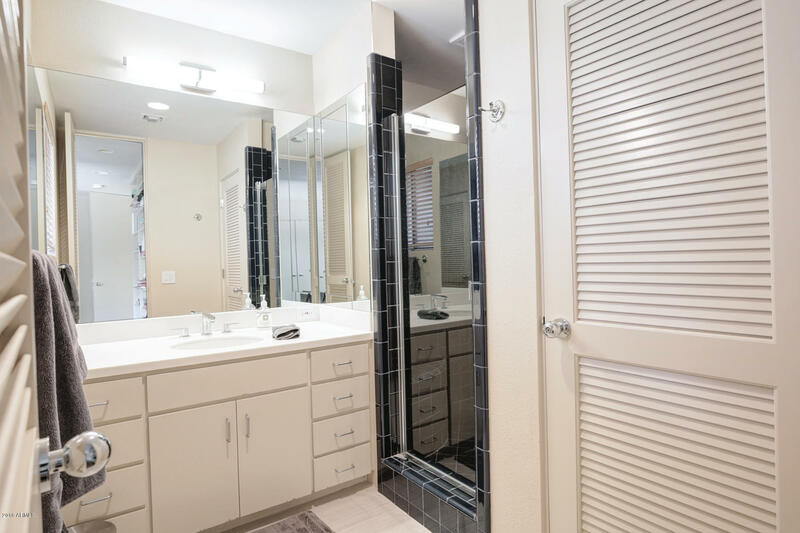 Master Suite has never ending views & features two separate large master bathrooms w/large closets. 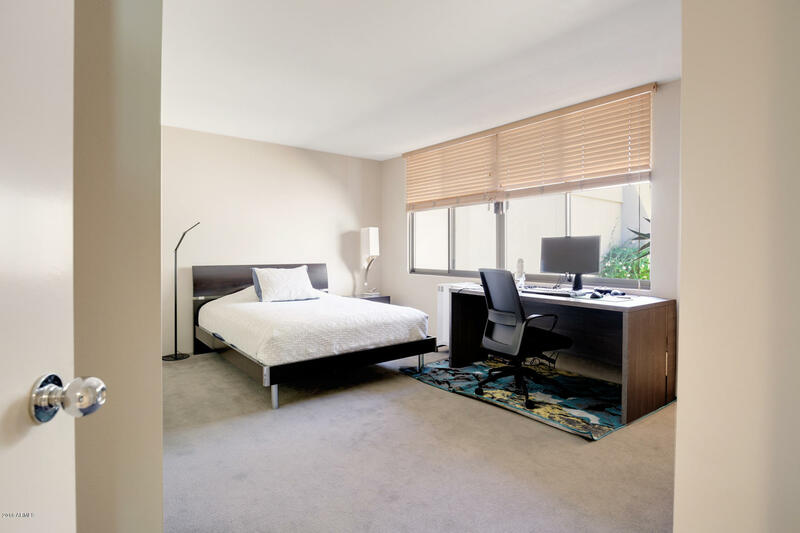 Detached studio directly off the master is the perfect office or art studio. 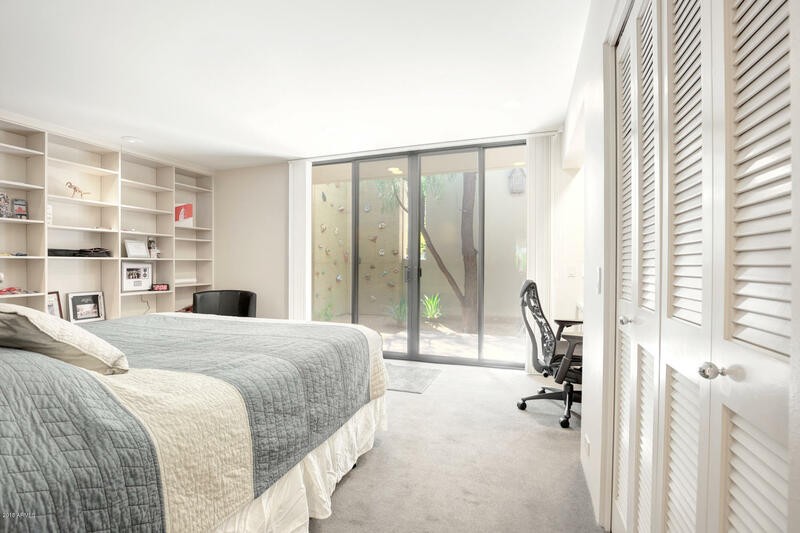 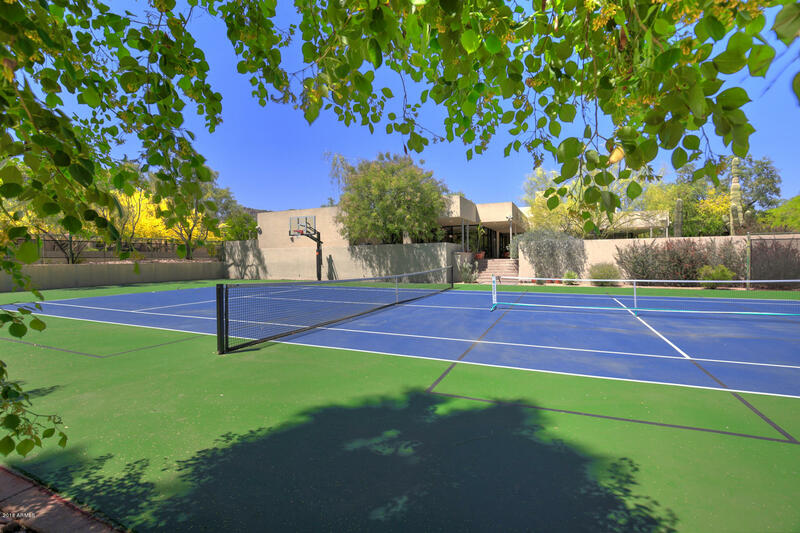 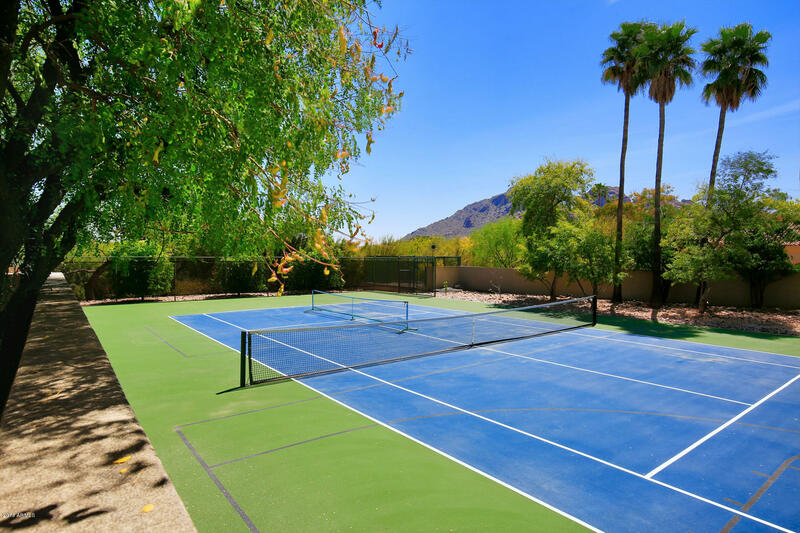 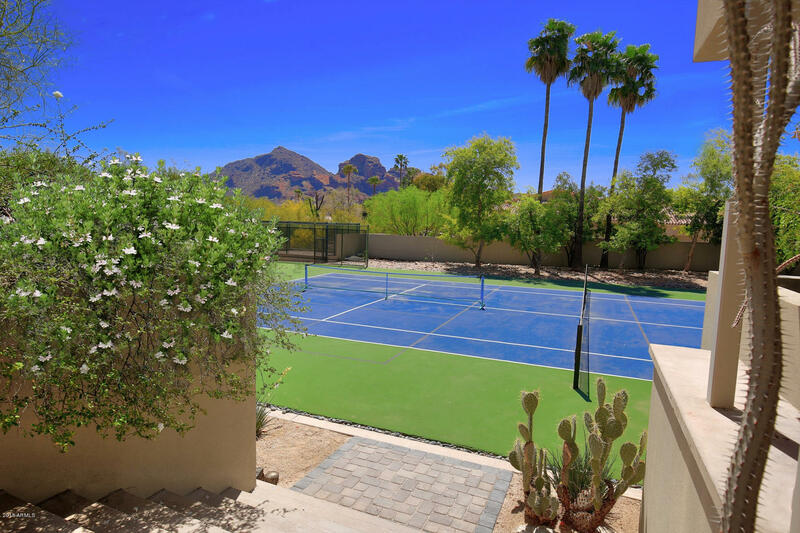 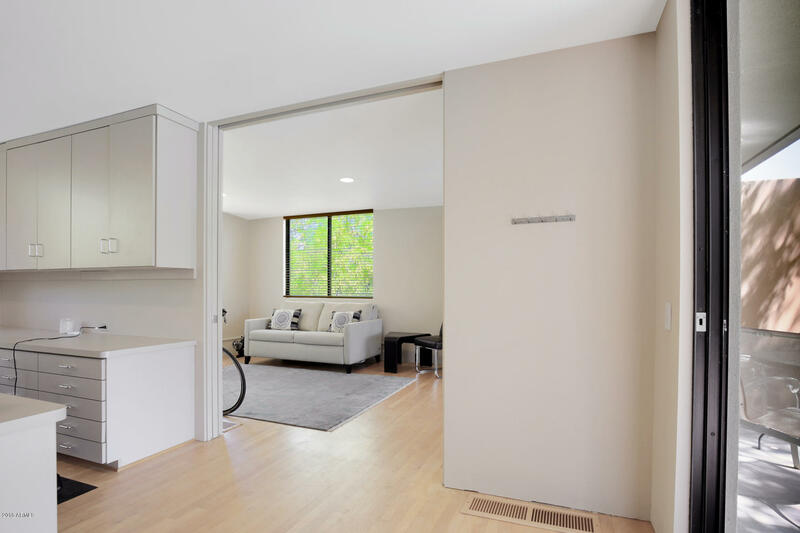 Full Size resurfaced Tennis Court, heated/cooled Lap Pool & Smart Home. 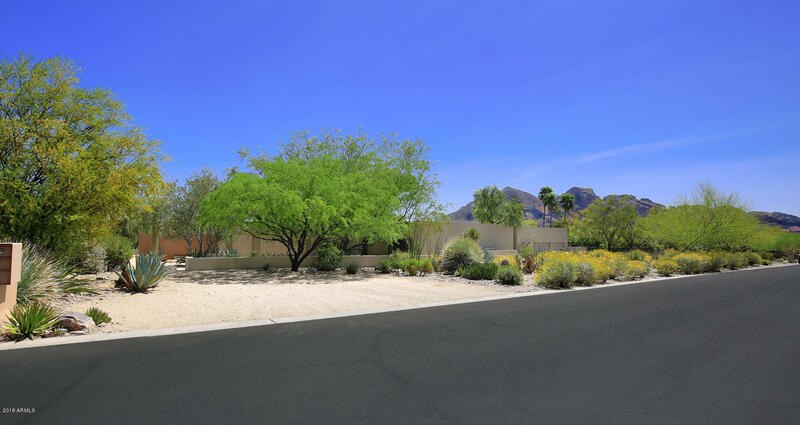 Tatum north to Indian Bend west to 46th St. go south (left) to Ocotillo then east (left) to 47th St north (left) to the property on the right.